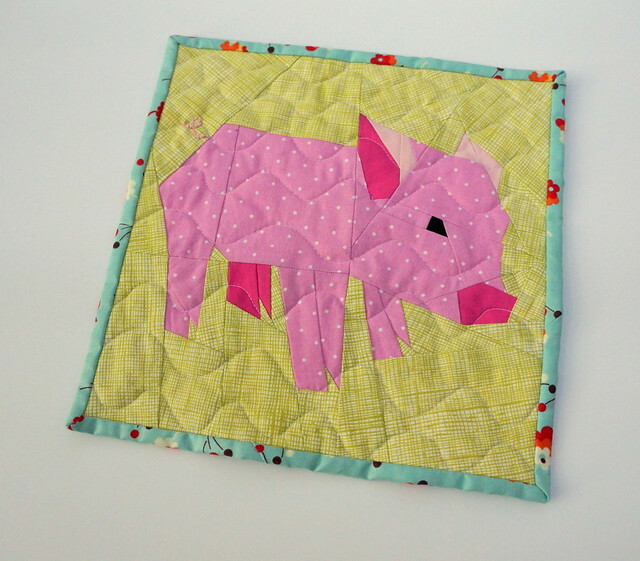 One of my good friends had a birthday recently, so I Pinterest-stalked her, found this adorable paper-pieced pig that she had pinned, and new that it was exactly what I wanted to make for her. So here's how it turned out! Too cute, right? He's got a little curly embroidered tail, but don't tell him how much the quilting looks like bacon. He may not be too happy about that. 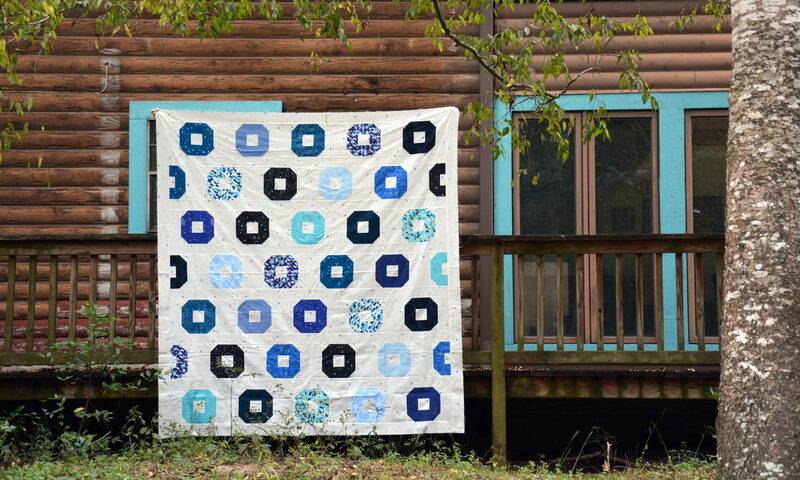 This was my first mini quilt too, so I'm really excited about that! I included triangles in the corners on the back for hanging like this. I am happy to report that she loved it! 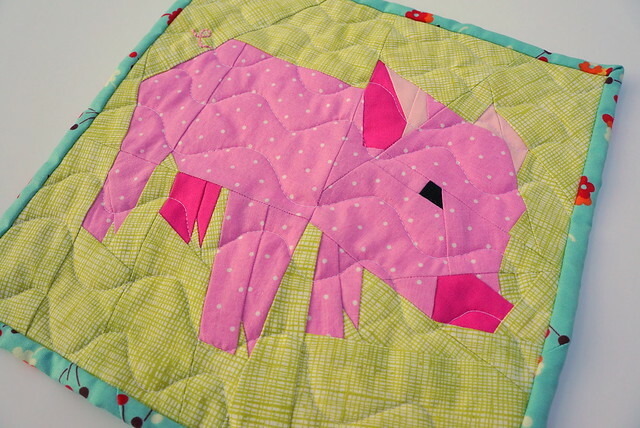 The paper-pieced pattern is from Bubblestitch, and she has a ton of other really cute animals too. I'm thinking I really need a paper-pieced squirrel on my wall. For real.